I had a wonderful birthday this year - one of the best ever! 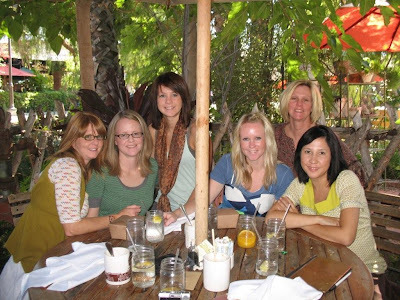 The day started out with a beautiful brunch in San Juan Capistrano with mom, Coleen, Adrienne, Tracie, and Katie (we missed you, Kelly!). Then we did LOTS of shopping at Fashion Island while dad and Jared watched all the kids. It was soooo fun! And mom got me some really cute maternity clothes. 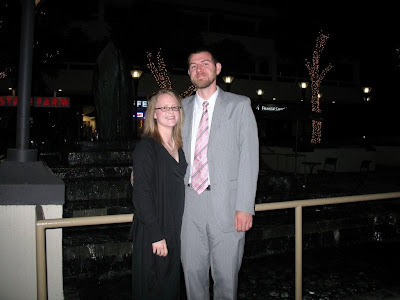 Last, and best of all, Matthew surprised me with tickets to the L.A. Opera and dinner reservations! We saw Madame Butterfly and had a wonderful time. Thanks to everyone for making it such a great day!